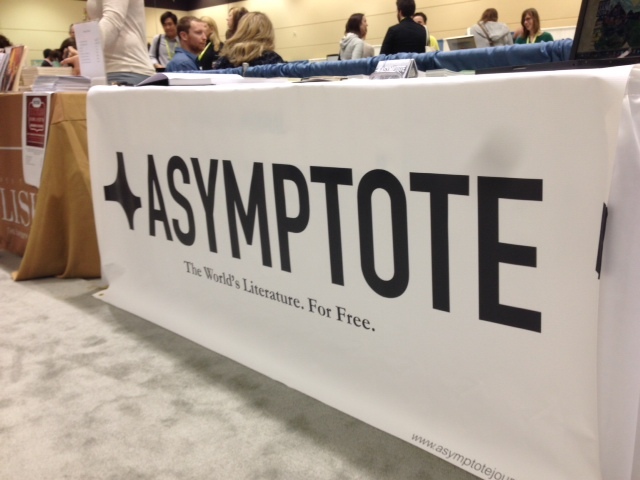 Managing editor Tara FitzGerald on meeting the Asymptote community at this year's AWP! I’d been warned (in jest) about the rain, but the first day of AWP (Association of Writers & Writing Programs) in Seattle dawned bright and clear, and the weather stayed that way throughout my stay. 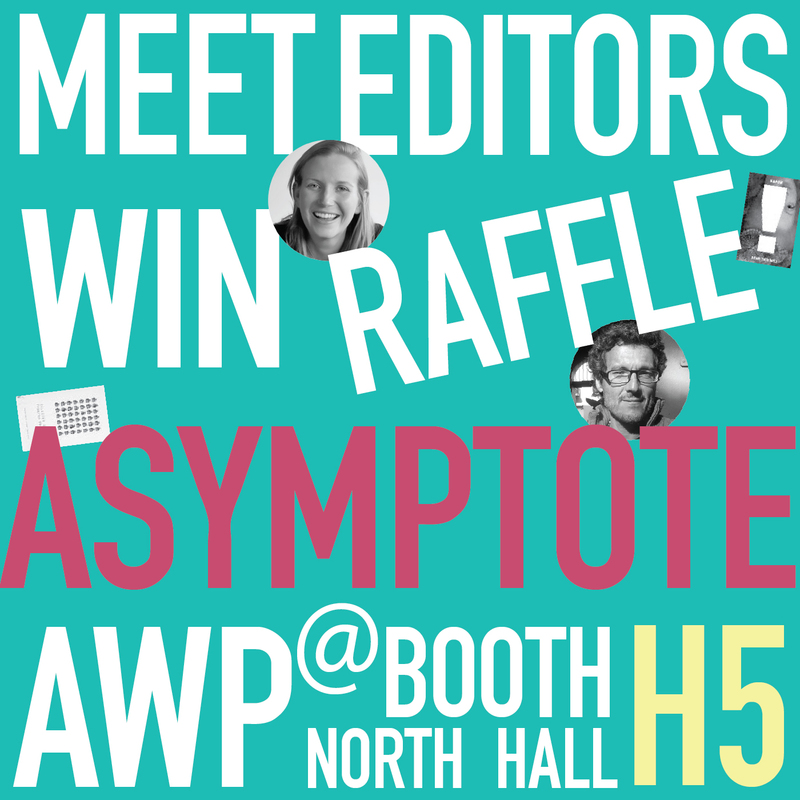 Not that it would have mattered anyway, because my home away from home was the Asymptote table at the AWP book fair, which was safely tucked away inside the Washington State Convention Center. Thousands of writers had gathered at this convention center to hobnob, talk craft, and attend panels during three days of intense book-related activities. From my vantage point at our table, I had the chance to meet around 250 AWP-ers—some of them Asymptote contributors, some editors from other journals, some already our fans, and others simply curious about the journal and what we do here. It was also exciting to hear that at least a handful of them found out about us because they had attended a panel where we were mentioned as the go-to place for international literature.